Britain Vows To Ban Ex-Gay Torture Nationwide - Joe.My.God. 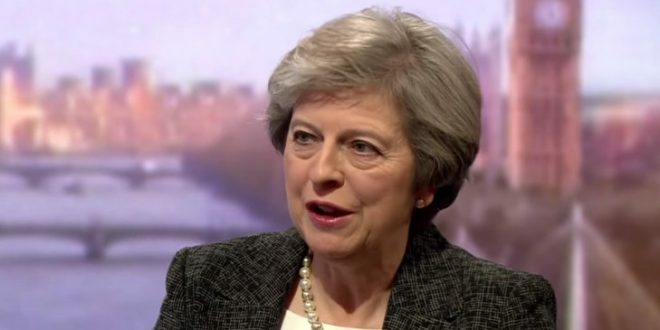 The government will appoint a national LGBT health adviser and take measures to end so-called conversion therapy as part of a plan to deliver what Theresa May has promised will be “real and lasting change”. The proposals form part of an action plan published by the Equalities Office on Tuesday. It follows a UK-wide survey of LGBT people that had more than 108,000 responses, billed as the largest study of its kind. The 30-page plan contains a series of pledges, including to improve the police response to LGBT hate incidents, more support for LGBT students and teachers and improvements to gender identity services for transgender adults. The proposals, which will receive an initial £4.5m in funding, were welcomed by the campaign groups Stonewall and the LGBT Foundation. Prime Minister Theresa May said the 75-point plan aimed to deliver lasting change and address the “burning injustices” faced by lesbian, gay, bisexual and transgender (LGBT) people that were revealed in a survey of more than 108,000 people. “I was struck by just how many respondents said they cannot be open about their sexual orientation,” May said in a statement on what the government said was the world’s largest national survey of LGBT people. The United Nations said last month it wanted a global ban on the invasive therapy based on the idea that homosexuality is a mental disorder or medical condition. While the practice has been widely discredited, only Brazil, Ecuador and Malta have nationwide bans, according to the International Lesbian, Gay, Bisexual, Trans and Intersex Association. RELATED: Ex-gay torture has been banned in 13 US states and dozens of municipalities. Wikipedia is maintaining a list.